The Dickies Cornwell Jacket is a real Dickies product because it features a high quality, a resistant material and a nice lining. 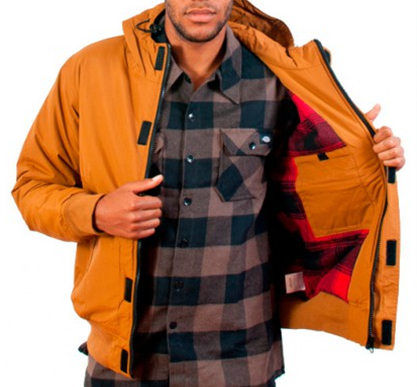 It is water- and wind-repellent on the outside and the red plaid pattern inside is really soft. 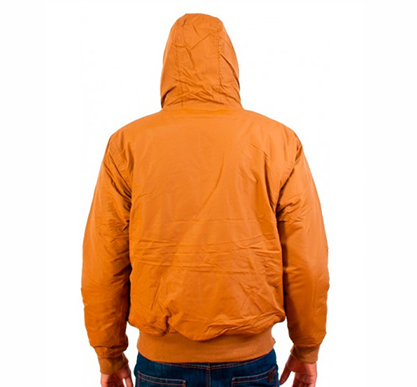 The big hood with drawstring, elastic cuffs on the hem and sleeves as well as two slide-in pockets with zippers are very useful. Additionally, there are a Velcro® facing above the main zipper and an inside pocket with a Velcro® fastener. A black and white Dickies logo patch is placed below the left pocket. 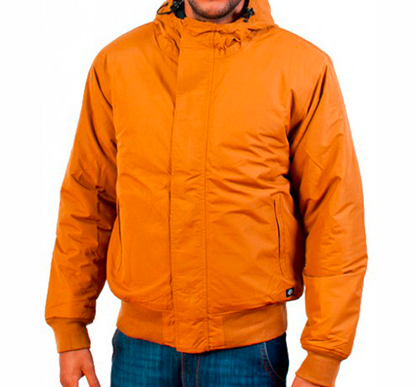 A cool jacket without mumbo jumbo! Warm poly / cotton plaid check lining?